If you don’t have time to do the work needed to keep your garden beautiful, or if you need to make a garden plan come true, take advantage of our friendly and professional service. We’ll carry out all the necessary maintenance for you throughout the year. 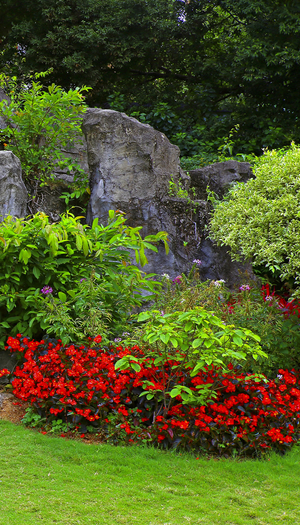 Aguilar Pro Landscaping meets all of your needs for residential landscaping. We work with you to achieve the curb appeal that your home needs. Our crew will come out and assess your property to give you the recommendations to create the atmosphere that you want to acquire. We only use the best and proper equipment for the job. Offering lawn cuts, hedge trimming, walkway trimming, flower bed maintenance, hardscaping, irrigation and much more. Repairing bare spots in your yard is nothing to worry about. We can give you the proper advice. It is not always to re-sod the yard, sometimes just a proper re-seeding is all it needs. We also assess the irrigation system and perform any sprinkler repairs necessary. Ivy removal leaves behind a lot of debris. We clean up all of the debris and any other that you have. Landscape clean-ups helps keep the property clean and safe. Having a broken or poorly maintained fence is also a major safety concern. Proper fence repair not only will help keep out intruders, it can also keep your yard/garden safe from unwanted animals and pests. Give us a call (805-850-5283) and let one of our professionals come out and help you realize your visions for your home. Whether it is a simple tiding up of your property or a complete rebuild, Aguilar Pro Landscaping will make you the envy of the neighborhood.